French’s Spicy Brown Mustard only $0.70 w/ Coupon! 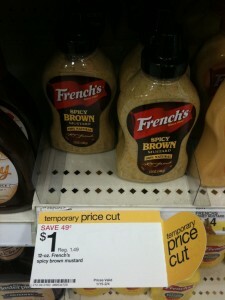 You can get a great deal on French's Spicy Brown Mustard at Target right now! Thanks, My Frugal Adventures for deal and photo!